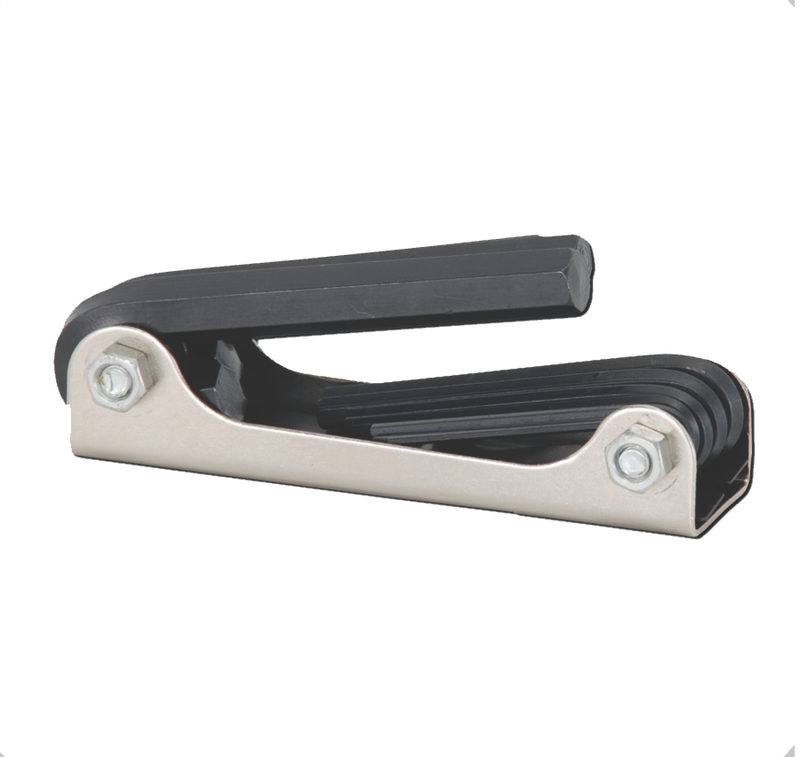 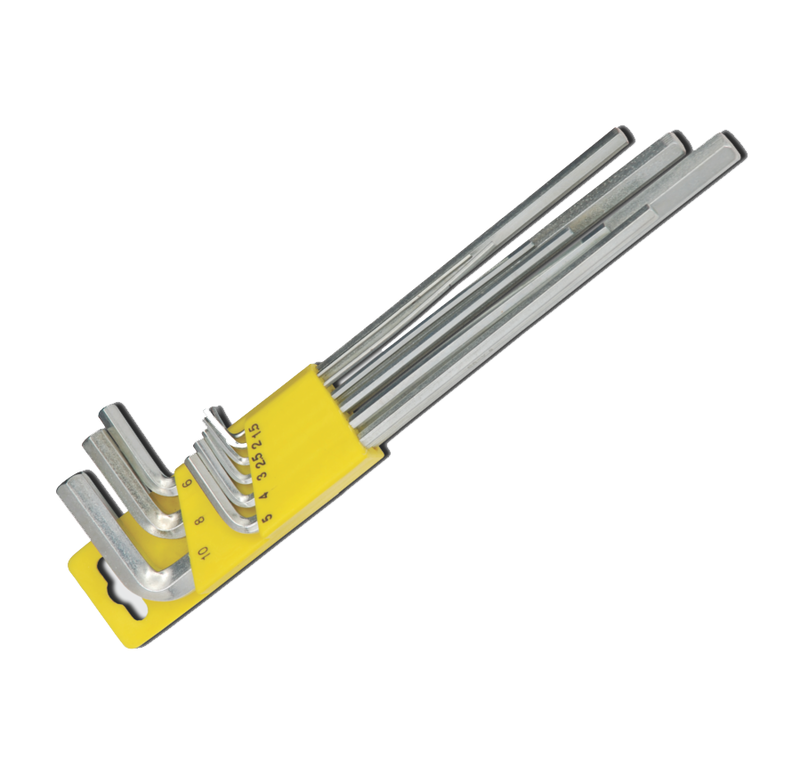 -Heat treated, tempered alloy steel provides high strength and resistance to rotational distortion. 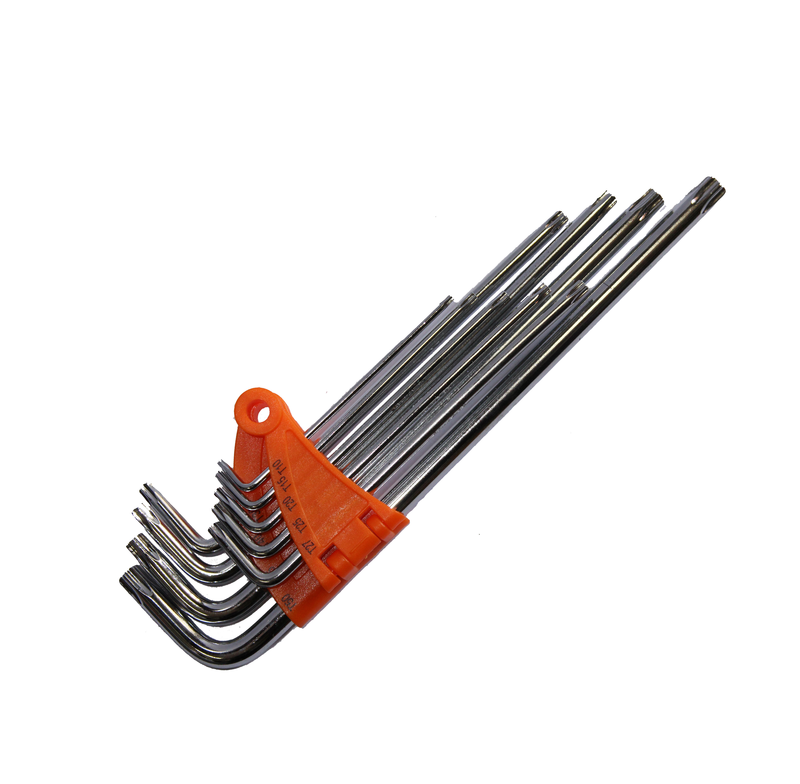 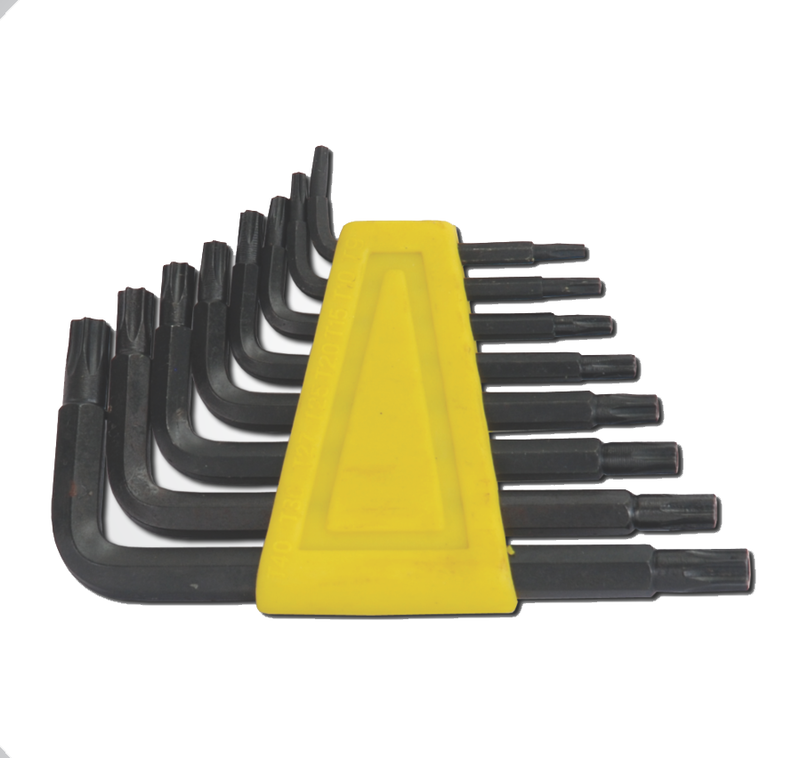 -All hex keys are precision formed to exact dimensional tolerances for precise fit. 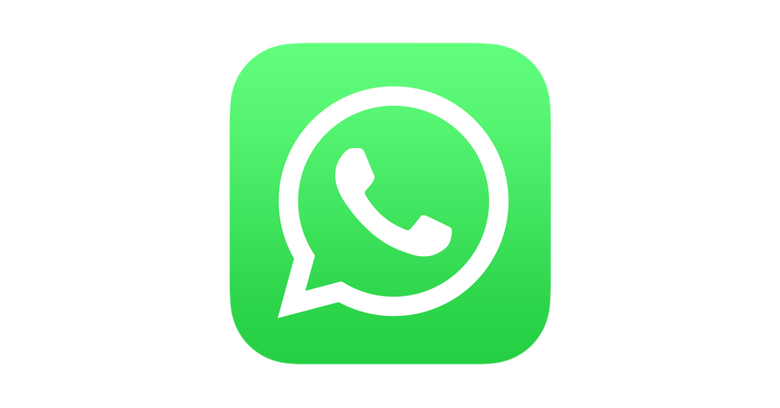 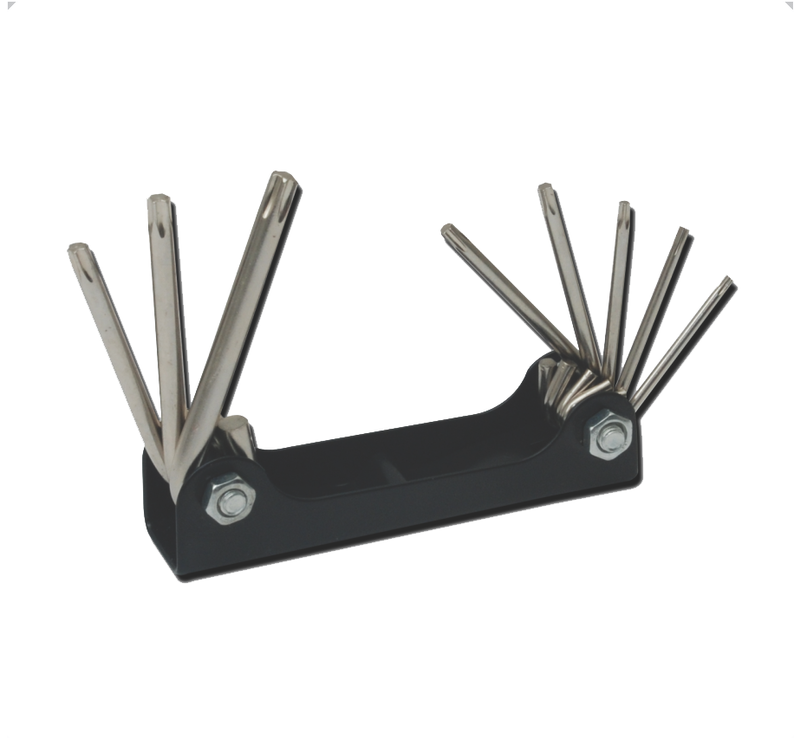 -Longer length keys for additional leverage and extended reach. 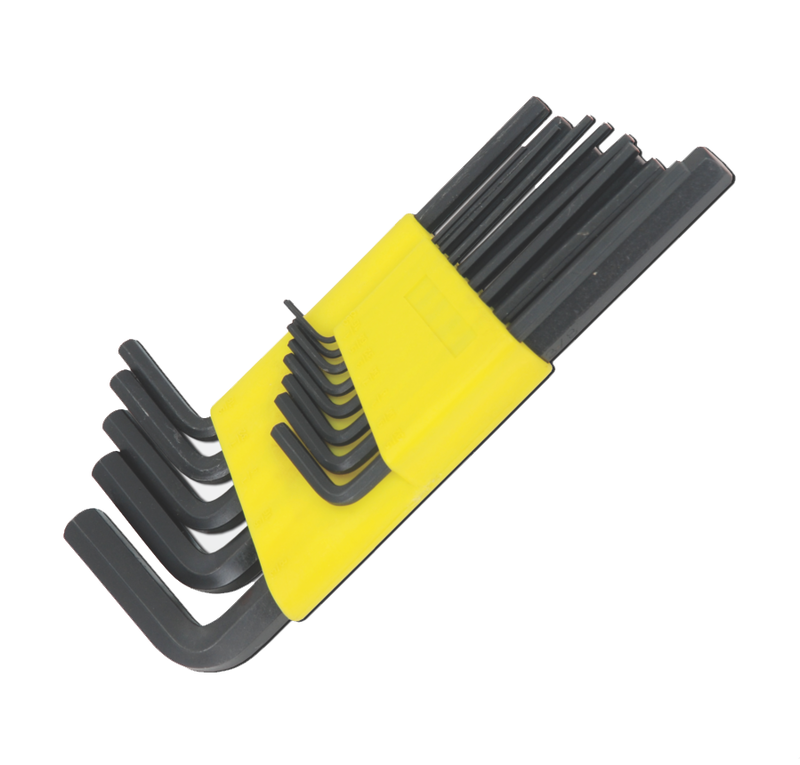 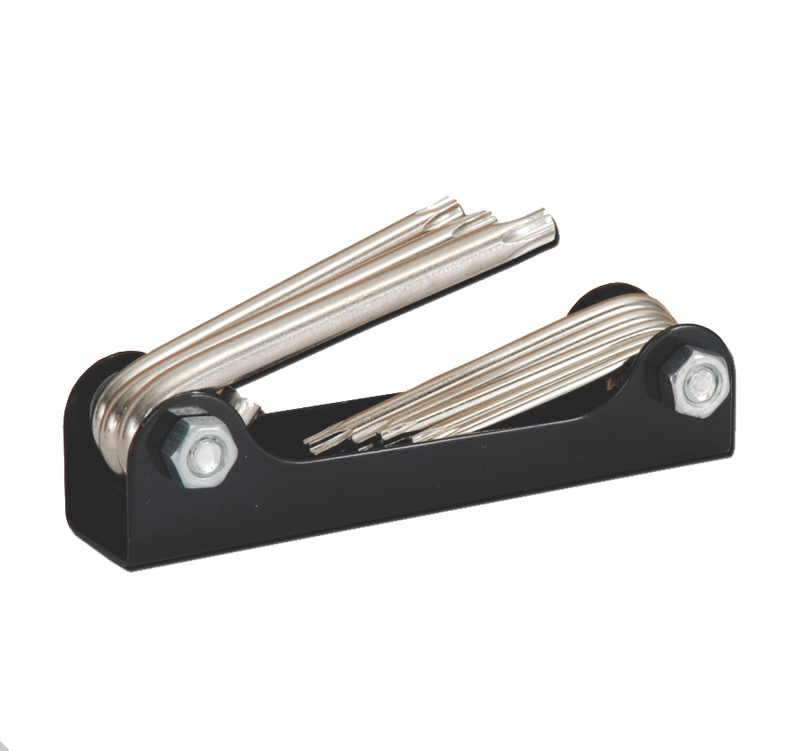 -Pouch conveniently organizes and stores hex keys. 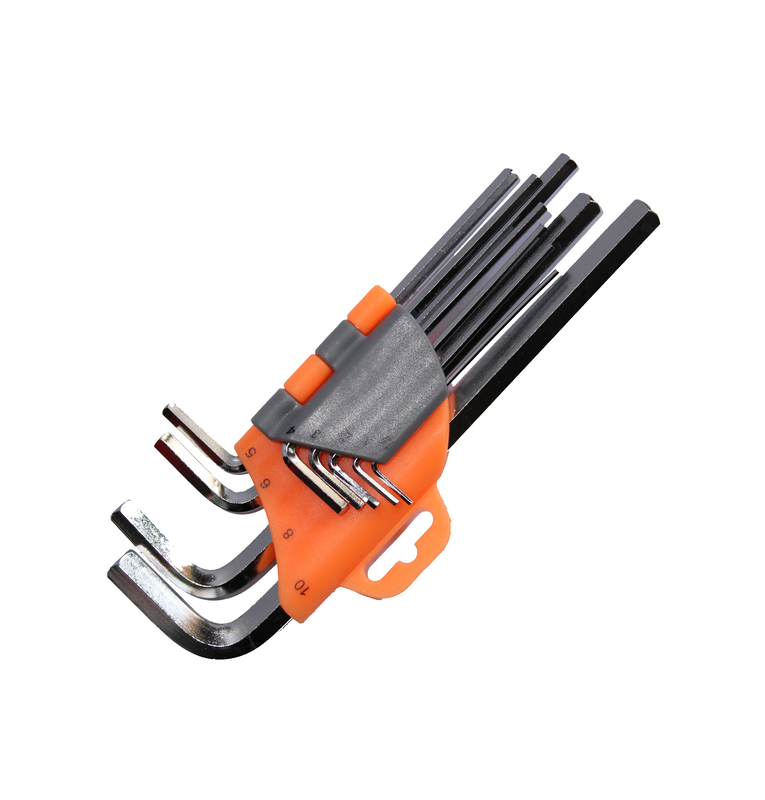 sizes: 3/8" 5/16" 1/4" 7/32" 3/18" 5/32" 9/64" 1/8" 7/64" 3/32" 5/64" 1/16" 1/20"
-Extra chrome finish for protection against rust/corrosion.